Since the days of the iPod, Apple has had a magical hold over a large portion of the consumer electronics market, changing the way people use and relate to technology. But with the Watch products, the company faces a bit more of a challenge, primarily because many of us simply don’t wear watches anymore and perhaps don’t see the point in getting one now. We’ve heard it before with other smartwatches on the market, too: why do I need one? It is indeed a good question, and it all depends on what you want to get out of your technology. Perhaps you’re just a lover of the latest gadgets and simply need to have the latest advancement. Perhaps you really are looking for a better way to communicate and view your online information and services without pulling out your phone every single time. 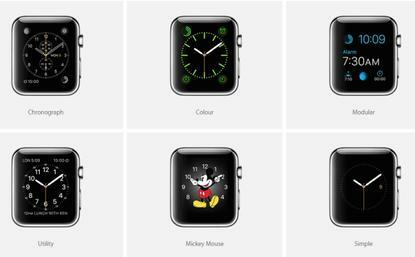 From Apple’s supplied information, we can see that apart from being able to tell you the time through different styles of watch faces (even a Mickey Mouse face), its operating system supplies more functions through built-in apps to make it an accessory (albeit a high-end one) to your iPhone. The Watch is designed primarily for ‘quick looks’ and ‘fast interaction’, meaning you can simply glance at it to see who has just emailed you, or you can tap it to accept and reject calls. You can even read entire emails on the watch itself, or read and respond to Messages. That means you can put your phone in your bag or refrain from getting it out of your pocket in favour of just glancing at your watch as you’re walking or talking. But there are other things besides checking for and responding to messages and calls. A number of built-in apps allow you to look at Maps, make use of Siri, check your calendar, and control your entertainment, be it music through your iPhone, or video content through your Apple TV. In this sense it becomes a wrist remote. Connected devices, such as LED bulbs, could also be controlled from the wrist. Need to know the weather forecast? Look at your watch. Want to see really small thumbnails of your photos? Look at your watch. Mobile payment apps, flight boarding apps, and other transport apps can make the Apple Watch a convenient way to pay at a register, check in at the airport, or book a taxi, and no doubt even more apps will come online once developers sink their teeth into the new form factor. We think the most useful aspects of the Apple Watch are health related. Apple will be releasing a Sports variant of the Watch (it will have an anodised aluminium case and a Sport Band and command the lowest price), with Wi-Fi and GPS, and sensors that can track your steps, distance, heart rate, stairs you’ve climbed, calories burned, and your general level of activity throughout the day. All of this can be done today with a simple fitness tracker from the likes of Fitbit, but the smartwatch interface can put a more colourful spin on the stats that it records and the motivation tools that it supplies. It can get into minute details such as telling you how often you’ve stood up from your desk and give you reminders to get up if you’ve been sitting for too long. It’s this type of little, seemingly meaningless information, and the setting of goals, that can sometimes be a catalyst for making you more active throughout your day. So there’s a slim chance that the Apple Watch could help you become a fitter person. The Apple Watch will become available to buy on 24 April and it will come with different bands and in three varieties: Watch Sports, standard Watch, and Watch 'Edition'. Two bezel sizes will be available: 38mm and 42mm. Stainless steel will be present on the Apple Watch, and aluminium on the Watch Sport, with a couple of different looks for each. The cheapest price will be $499 for the smaller version of the Watch Sports, while the standard Watch will cost $799. Watch 'Edition' will be made from 18-karat gold alloys and aimed at entertainers and sports stars (or anyone else) who can afford to drop $14000 on a wrist accessory.